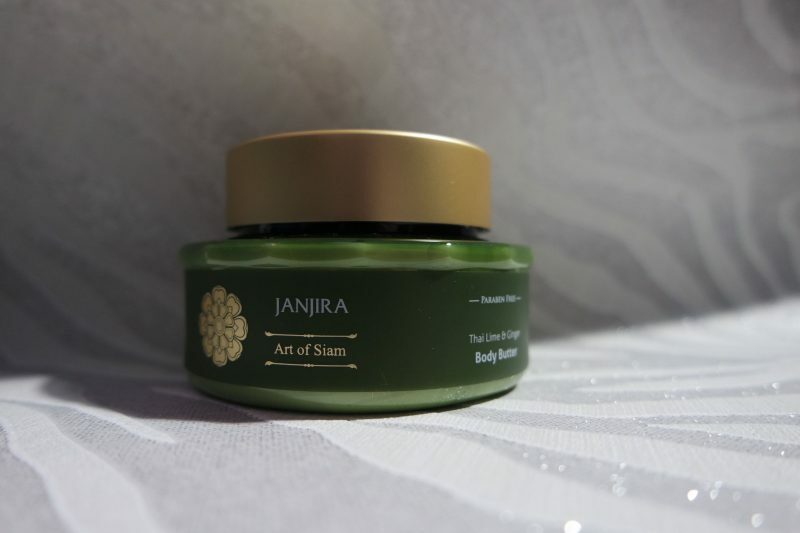 I am loving this Thai lime and ginger body butter from Janjira. I have previously tried some of their other products and you can read about them here. I find all of their body products so luxurious and lovely to use. Niacinamide – Vitamin B3; useful as a skin moisturiser and therefore helps maintain the skin’s moisture balance. Important for maintaining healthy skin and proper blood circulation. It can also help acne problems. Shea Butter – Shea butter is a natural moisturiser that maintains the skin’s structure and keeps it soft. I have really enjoyed using this after having a bath.I do suffer mild bacne(acne on my back) and it is important I pay attention to this. Quite often it can get dry if I use medicated products on it so it is important to moisturise with a good moisture rich product like this. It leaves you feeling so so soft and smelling really good. THIS SOUNDS AMAZING!! what do you think of it? never heard of this before, sounds great though! Sounds like such a good product! Ow this has some lovely ingredients! oo never heard of this before it sounds good!